A look at the Material Safety Data Sheet M.S.D.S. for corrosive SO2 sulfur dioxide gas we find acute toxicity (death) at 1260 ppm over four hours in a rat. It requires a ventilated suite to work around and may cause pH changes in aqueous and plant ecosystems including deforestation. Exposures of 400-500 ppm are immediately life-threatening and as little as 2 ppm may irritate the eyes, nose, throat, and sinuses, resulting in choking, coughing, and C.O.P.D. like symptoms. Remember aviation fuel exhaust is tested at between 600 and 3000 ppm SO2. 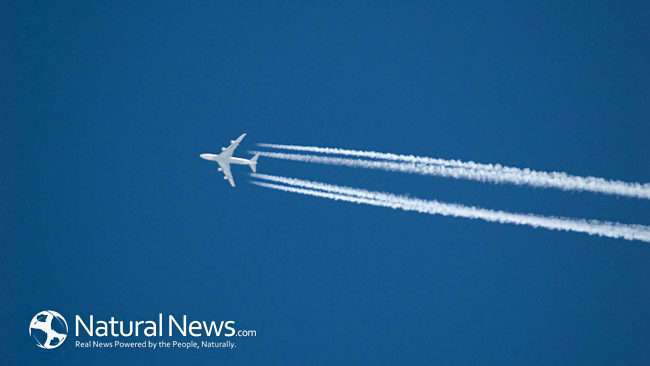 Sulfur oxides in jet fuel and the resulting health problems are conservatively estimated to kill between 1000 and 4000 people globally. Sulfur dioxide also destroys ozone when convection takes some of the particulates high into the stratosphere. It is a main ingredient in fireworks, reducing ignition temperatures and acting as the fuel that sparks the reaction. What happens when this chemical compound falls out on foliage in dry areas of the country in the summer months? Very, very interesting. Does this also mean that the SPOOK AGENTS placed at the top of the conspiracy chain ARE INVOLVED IN PSYCHOLOGICAL OPERATIONS to take the focus OFF OF THE UNREGULATED OIL AND FUEL INDUSTRIES and serve as a culling station for all of those that REALLY feed into the chemtrail conspiracy to keep an eye on them? It’s a classic Limited Hangout and Bait and Switch to get you to believing ANYTHING when the simple answer is staring you right in the face.